The sweet crunchy Maltese bambinella has been a hit with British consumers and is being exported to the UK for the third consecutive year. More than 10,000 kilos of bambinella grown on Malta’s sun-kissed land will this year be stocked on the shelves at Marks & Spencer in Britain. Trial exports to the UK of bambinella, marketed as “tiny pears”, started in 2009. The venture was a success and shipments rose from a mere 3,000 kilos to at least 10,000 kilos this year. This initiative, launched by the Ta’ Qali Producers’ Group headed by Peter Axisa, embraces eight farmers. Mr Axisa said the fruit was initially sent by airfreight but is nowadays transported by road, drastically cutting transportation costs. Since it does not take more than four days to reach its destination, the bambinella is kept refrigerated and no preservatives are added to the fruit. About one tonne of fruit has already been exported to the UK this year and about 10 more will be sent over next week. Resources Minister George Pullicino visited farmers in the tat-Tafal area, limits of Rabat, yesterday morning. He said very “rigid” standards were maintained during cultivation, including the type, frequency and dose of pesticides. The farmers were provided with information about these strict regulations, and technicians even visited sites and met with farmers to make sure target standards were met. “You have to be very rigid when it comes to the cultivation and harvesting process because, although the success of this venture grew gradually, it could dissolve very quickly,” Mr Axisa said. He added that the exportation of bambinella to the UK rendered some €30,000 last year and it was hoped this niche market would expand. Marketed through one of the UK’s largest fruit marketing companies, Worldwide Fruit Limited, the Maltese bambinella made a hit with the British market because of its “miniature” size, which makes it ideal for lunch boxes. M&S had predicted it would be such a hit with shoppers that farmers would start growing it in Kent. 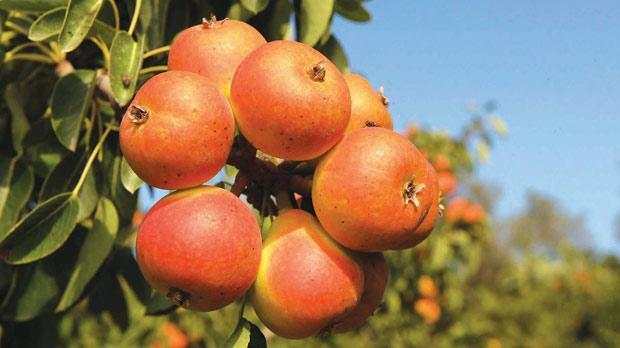 However, as Mr Axisa confirmed, Mediterranean-grown bambinella has an intense sweet flavour which cannot be replicated in countries with a different topology. Farmers insist that the clayish soil, abundant sun and amount of rainwater make the ­typically Mediterranean bambinella unique.